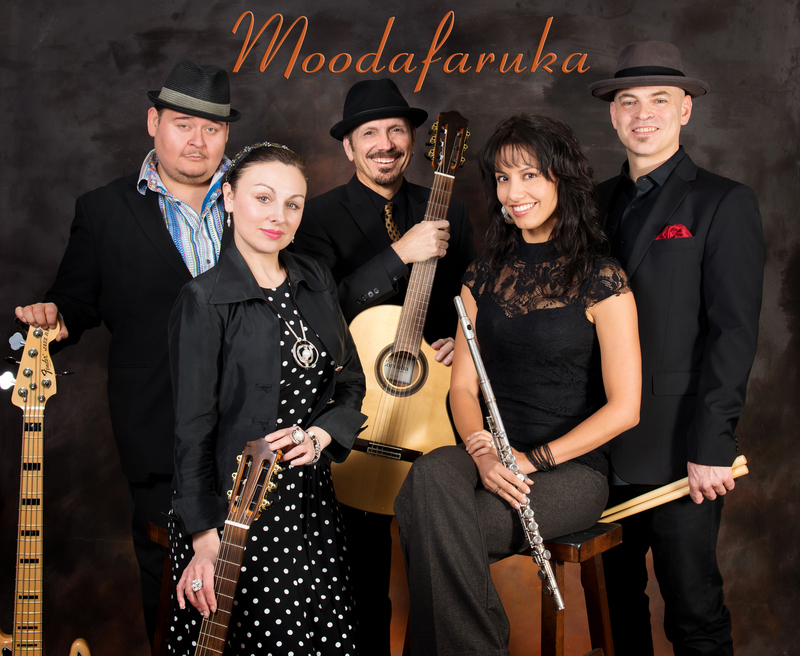 Influenced by the rich musical traditions of the world, without being bound by them, Moodafaruka’s compositions are a collaboration of cultures. Flamenco, Indian, Arabic, Spanish and western music are woven into a tapestry of sound that is both familiar and new. Spanish melodies are laced into an Indian raga, Indian percussion blends with Arabic vocals and a western guitar. 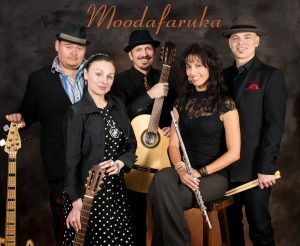 Instruments include classical guitar, violin, bass, an percussion such as doumbek and congas.